Today represents a milestone for DMLO CPAs as we celebrate four decades as a Louisville original independent business. Forty years ago, the founders of Deming Malone Livesay & Ostroff chose to create a local, independent firm that would do business differently, and have a significant impact on our community in the process. They embarked on a more client-focused approach, setting themselves apart with a level of personal service, expertise and integrity that continues to set the standard today. We chose to recognize this milestone anniversary, honor our history, and live out our More than the Numbers tagline earlier this year with a DMLO Day of Service. 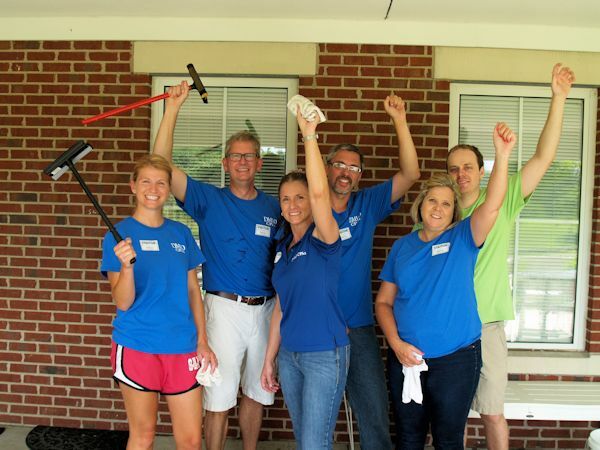 Teams of owners and employees spread out to spend the day serving five local nonprofit organizations in a variety of different ways. To see a few of the special moments from the day, click here. Giving back is such a part of our culture that we were recently ranked #6 among medium-sized firms and recognized at the Business First Corporate Philanthropy awards. Read more about that here. “It is very fitting that our ‘birthday’ falls on Give Local Louisville Day – our community’s biggest day of local giving. We understand the impact that businesses and their employees can and should have in the community, and we share an ongoing commitment to investing our time and resources in ways that make a difference,” said President Chris Ward.